Since early 2011 a major shift has begun which is ultimately reshaping the political, geographical and religious climate of the Middle East. I will honestly suggest that this shift is actually a spiritual one. The Arab Spring was a series of anti-government protests, uprisings and armed rebellions that spread across the Middle East in about four years ago. Tunisia, Libya, Egypt, and most recently Yemen have all entered an uncertain transition period. Leadership has been replaced. However, there remains one leader who still remains in power despite the loss of hundreds of thousands of lives. He is Bashar Assad, president of Assyria. Remember Assyria. With a plethora of daily news regarding Syria in lately, one has to ask if Syria is the same “Assyria” that is mentioned in the Bible. The answer is no from a political perspective. The modern state of Syria was formed after World War I and became independent after World War II. 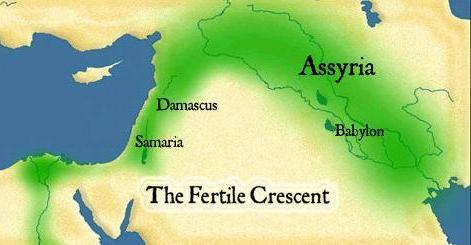 However, there are historical connections to ancient Assyria, including some similar territory. Historically, speaking Assyria was one of the Great Mesopotamian powers along with the Babylonians and the nearby Persians. The areas they occupied are roughly close to the borders of modern day Syria (Assyria), Iraq (Babylon) and Iran (Persia). Assyria in particular, was located to the east and Northeast of the Northern Kingdom of Israel stretching into Mesopotamia (the broad plain between the Tigris and Euphrates rivers). Just a few weeks ago, Turkey and Saudi Arabia, have been actively engaged in high-level talks with the goal of possibly creating a joint military alliance to oust Syrian President Bashar Assad. Today the prime minister of Turkey is Recep Tayyip Erdogan. Today the Turkish army is on the Syrian border. Syria, however, apparently seems to be supported by Iran. Again keep in mind that BOTH opposing countries also have differing religious beliefs. 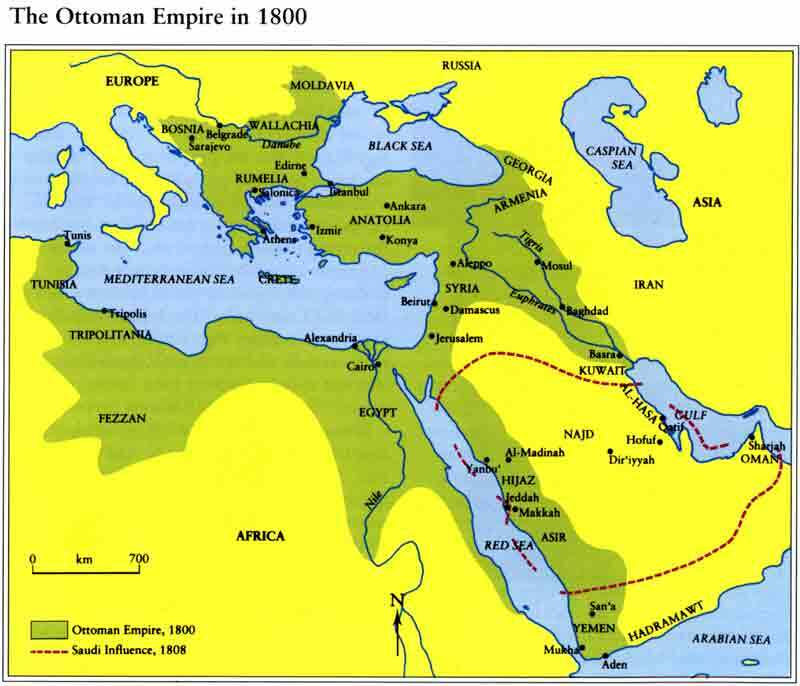 There is speculation that Turkey may want to ultimately re-establish the Ottoman Empire. 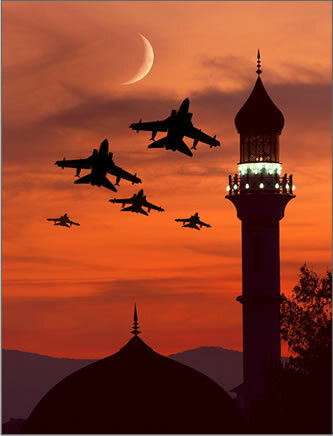 However, it is very possible that a major war between Shi’ite and Sunnis may be on the horizon with the victor claiming superiority in Islam. That being said, who will be the leader? It is painfully obvious now that the final days of the Ba’athist al-Assad regime, and of Syria are upon her. It is being reported that currently, there is significant military pressure being placed upon the faltering Syrian Ba’athist regime of Bashar al-Assad and the city of Damascus by an array of Sunni Jihadist militias. Jeremiah 49:23-27—Concerning Damascus. Hamath is confounded, and Arpad: for they have heard evil tidings: they are fainthearted; there is sorrow on the sea; it cannot be quiet. Damascus is waxed feeble, and turneth herself to flee, and fear hath seized on her: anguish and sorrows have taken her, as a woman in travail. How is the city of praise not left, the city of my joy! Therefore her young men shall fall in her streets, and all the men of war shall be cut off in that day, saith the Lord of hosts.And I will kindle a fire in the wall of Damascus, and it shall consume the palaces of Benhadad. Damascus is the capital of Syria and its second largest city, with about 2.6 million people in the metropolitan area. Today Syria is in the midst of a civil war. As a continuation of Arab Spring, as leaders are being ousted and replaced, there is also a movement to oust Syrian President Bashar Assad. Damascus has already suffered a great deal of damage, but according the above mentioned Scriptures, Damascus will be taken away from being a city. Today, fighting in Damascus is on the rise. It is being reported that The United Nations and United States leadership want Syrian President Assad gone. It also appears as if Russia and Iraq want Assad to stay. The United States have pushing for Middle Eastern led military action. The US, UN, Britain, France, Saudi Arabia, Turkey, and other world powers are pushing for an escalation of force to oust the Syrian President. Talk of a military conflict between Israel and Iran is also on the rise. In Ezekiel 38 a Russian led invasion into Israel is described. Russia is Joined by Iran, Turkey, Ethiopia/Sudan (Cush), and Libya. Ezekiel 38:1-10—And the word of the Lord came unto me, saying, Son of man, set thy face against Gog, the land of Magog, the chief prince of Meshech and Tubal, and prophesy against him, And say, Thus saith the Lord God; Behold, I am against thee, O Gog, the chief prince of Meshech and Tubal: And I will turn thee back, and put hooks into thy jaws, and I will bring thee forth, and all thine army, horses and horsemen, all of them clothed with all sorts of armour, even a great company with bucklers and shields, all of them handling swords: Persia, Ethiopia, and Libya with them; all of them with shield and helmet: Gomer, and all his bands; the house of Togarmah of the north quarters, and all his bands: and many people with thee. Be thou prepared, and prepare for thyself, thou, and all thy company that are assembled unto thee, and be thou a guard unto them. After many days thou shalt be visited: in the latter years thou shalt come into the land that is brought back from the sword, and is gathered out of many people, against the mountains of Israel, which have been always waste: but it is brought forth out of the nations, and they shall dwell safely all of them. Thou shalt ascend and come like a storm, thou shalt be like a cloud to cover the land, thou, and all thy bands, and many people with thee. This war may occur shortly after the destruction of Damascus. Perhaps Turkey may destroy Damascus. Turkey may then join Russia in launching a Middle Eastern invasion into Israel. Thus, after Syria is destroyed, a Middle East invasion into Israel will occur. Isaiah 10:5 :O Assyrian, the rod of mine anger, and the staff in their hand is mine indignation. Isaiah 10:24 : Therefore thus saith the Lord GOD of hosts, O my people that dwellest in Zion, be not afraid of the Assyrian: he shall smite thee with a rod, and shall lift up his staff against thee, after the manner of Egypt. Isaiah 14:25 : That I will break the Assyrian in my land, and upon my mountains tread him under foot: then shall his yoke depart from off them, and his burden depart from off their shoulders. Isaiah 30:31 For through the voice of the LORD shall the Assyrian be beaten down, which smote with a rod. Micah 5:6 And they shall waste the land of Assyria with the sword, and the land of Nimrod in the entrances thereof: thus shall he deliver us from the Assyrian, when he cometh into our land, and when he treadeth within our borders. Many of the Shi’ite leaders in Iran hold fast to the notion that the Syrian revolution could be the catalyst for sparking a worldwide conflagration that will usher in the arrival of the Mahdi. They also believe that the Mahdi will lead a global revolution and establish a worldwide Islamic empire and rule the earth as the final Caliph of Islam. The Turkish army is amassed along the Syrian border today. If Turkey attacks Syria will it then turn south to invade Israel? Who will be the next leader of Syria? Regardless of what the outcome may be, it is important to develop a knowledgeable perspective when viewing current events unfolding in the Middle East. I have stated before that it seems as if there has been an acceleration of prophetic events and even more so in the Middle East. Where it all began is where it all will come to a conclusion with the Return of Jesus Christ which day by day seems to be getting closer and closer and closer….. Previous Previous post: From Kathmandu to Kalamazoo! Next Next post: America: Is the Handwriting on the Wall?